Vitamin B-12 intake can have a significant impact on the everyday function of your body, including nervous system function, DNA replication and mood regulation. Vitamin B-12 deficiency can occur in people who do not eat a significant amount of animal-based foods, such as vegans. Your ability to absorb vitamin B-12 also decreases as you age; approximately 10 to 15 percent of people over the age of 60 have a vitamin B-12 deficiency, according to the Linus Pauling Institute. In most cases, the administration route of a vitamin B-12 supplement has little impact on its effect. The primary difference between injections of vitamin B-12 and supplements you take sublingually -- the medical term for under the tongue -- is how the vitamin enters your system. The vitamin B-12 you ingest in foods requires stomach acids and certain enzymes to free it from proteins so the stomach can absorb it into the bloodstream. Supplements like pills and lozenges you place under your tongue are already freed and simply diffuse into your bloodstream. 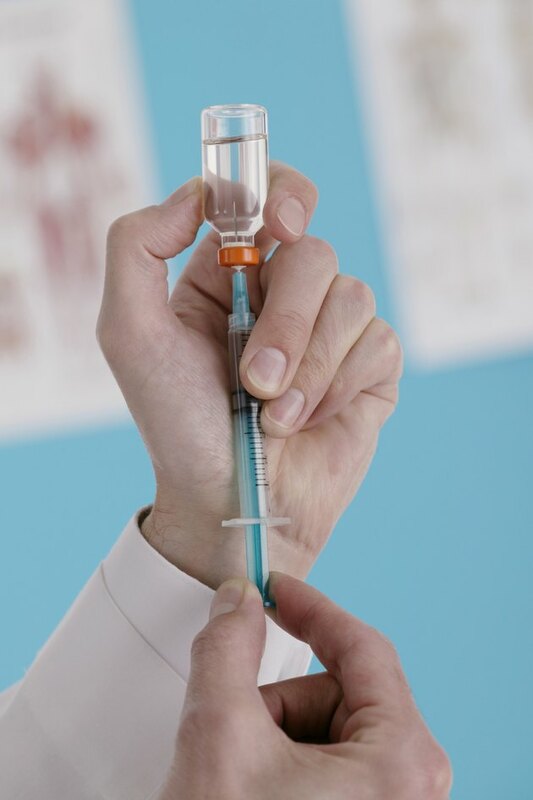 Injections are an even more direct method, delivering the vitamin B-12 straight to your blood. Reviews of vitamin B-12 research seem to indicate you will benefit from a vitamin B-12 supplement whether you take it orally, under your tongue or with an injection. A 2003 review in the "British Journal of Clinical Pharmacology" found almost no difference in vitamin B-12 uptake when sublingual and oral supplements were compared. Similarly, a 2010 review in "Expert Opinion on Pharmacotherapy" concluded that sublingual vitamin B-12 supplements are at least adequate in treating deficiencies even if the body cannot absorb them as effectively as injections. Speak to your doctor if you have a vitamin B-12 deficiency to determine which method of administration is most fitting for you. In cases of deficiency from your diet or aging, sublingual and injected vitamin B-12 would be equally effective. However, diseases like pernicious anemia drastically reduce your body's ability to orally absorb vitamin B-12. You can treat this condition with an oral supplement, but you would need to take a much higher dose to meet your daily needs, and an injection may be preferable. In many cases, people prefer a sublingual vitamin B-12 supplement to an injection. Injections require you to draw up the medication and endure the mild pain associated with this delivery method. Taking vitamin B-12 sublingually is as simple as placing a quick-dissolving tablet under the tongue. Sublingual tablets may also be less expensive than the injection form.